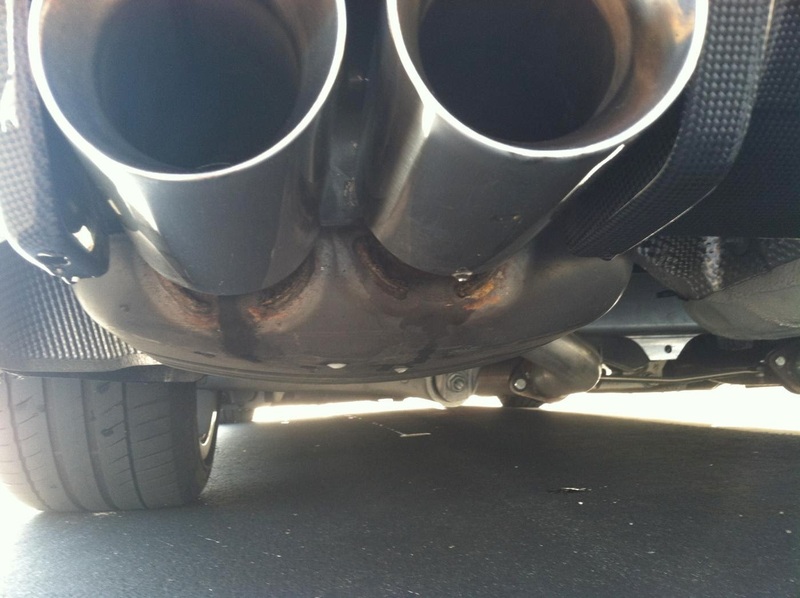 Hey guys, I have been receiving a lot of PM's about my exhaust setup. I originally had a custom Magnaflow setup with 3.5" DimisaTips which I sold, because I couldnt eliminate 100% of the droning. The drone was from the MagnaFlow, not the DiMisaTips.com product. Since selling that setup I was contemplating on which mufflers to go with. I was going for all looks so if I was able to use my OEM 535 mufflers and just slap on tips I would have done that. But as many of us 535 owners know, there is not enough space to add tips on our OEM mufflers without the tips sticking out like crazy. 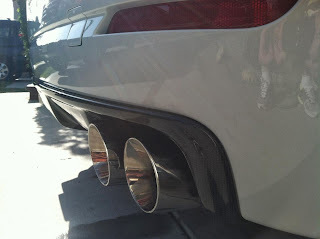 A few months went by and I just couldnt take staring at my 3D Rear Diffuser with the OEM mufflers. So I sourced some M6 mufflers and contacted JP@ Dimisa Tips again to see if he wanted to work with me again on this new project. 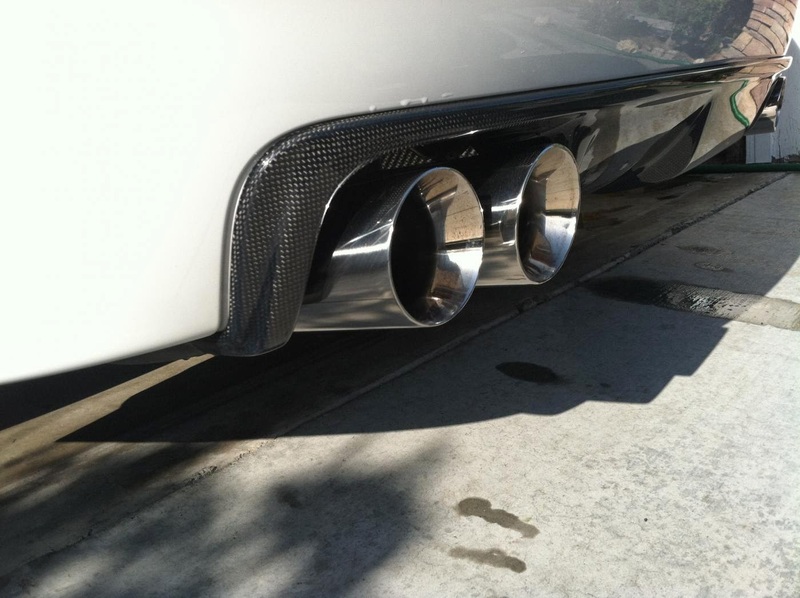 I got in touch with Mikes Mufflers in El Monte, for those that dont know, he doesn great work for a great price. I drove over to Mikes Mufflers and we was able to make me a custom axle back with flanges so that I can remove/install my mufflers at home. I've had this setup for a few months now, but was waiting to complete my car before I post pics. But since there seems to be a lot of interest I decided to make this post. 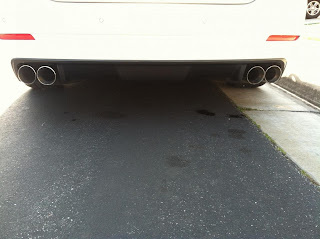 I am 100% satisfied with the gamble I took installing the M6 mufflers. I have no drone and just enough vroom to bring a smile to my face. For those that are in So Cal, feel free to hit me up if you want to hear it in person. For those that are trying to source exhaust tips, hit up JP @ Dimisa Tips. For those that are not familiar with these tips, browse the E9x forums and you'll see how popular these tipsare. JP is a great guy to work with and I am glad I had the chance to work with the team at DiMisaTips.com. I am loving the double exit exhaust tail pipes. And they are so shiny. Must be stainless steel because they are so shiny. Dual exhaust system are preferable for speed cars, they ease the exit of the gases improving performance of the cars.